I cannot believe today is the first day of Fall! Summer might be over but we here in SF are just beginning to feel the heat. This week has been fairly warm and it looks like it will stay this way for awhile. Ideally I wanted my first Fall post to be, well, very Fall. Realistically, it's hot and this is what I wore yesterday. 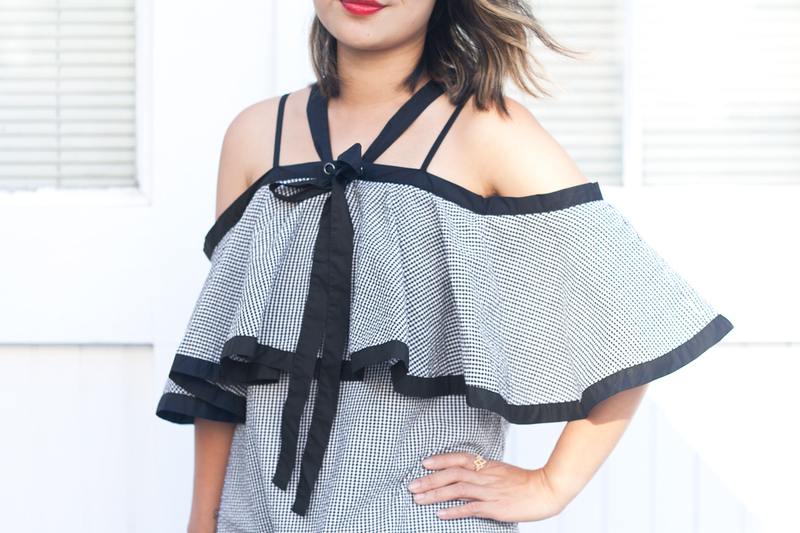 I absolutely adore this gingham dress by Dahlia... the dramatic ruffles, the off-shoulder silhouette, and the bow! I paired it with the Blizzard clutch that I designed for Kayu (blog post about this special collaboration coming soon)! 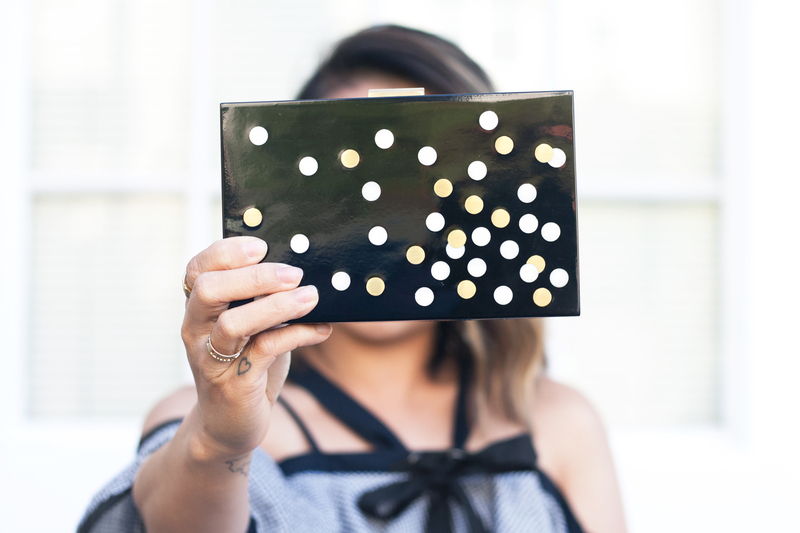 This clutch is made out of resin and hand inlaid with brass and shell dots with an ultra-suede lining! Can't wait to show you the other designs I dreamed up! Joni black gingham dress c/o Dahlia. Blizzard clutch (designed by me) c/o Kayu. Cute dress! Loving how the black heels look with it!